I just created 80 Azure AD users via PowerShell that I wanted to activate for email. Normally you can use Enable-Mailbox when using Exchange On-Premises to activate Active Directory based user (who don't yet have mailboxes so it seem obvious this would be command I need. 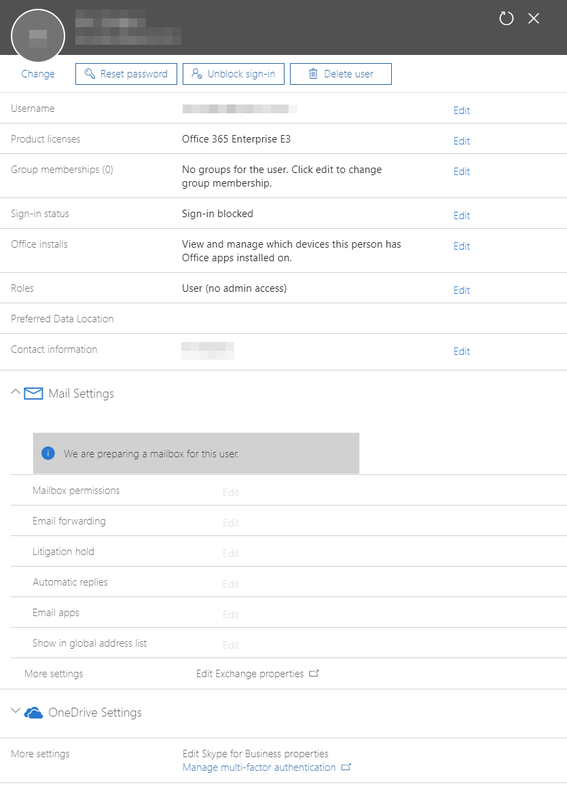 Quick look for Enable-Mailbox on Microsoft website doesn't have big warning sign to not use it.. so I did…. If you're on-premises the fix is simple that you should use this command on your local Microsoft Exchange. However I wasn't. But the fix is actually as simple as it get. Just assign a license to a user! Set-MsolUserLicense -UserPrincipalName $User.UserPrincipalName -AddLicenses "evotec:ENTERPRISEPACK"